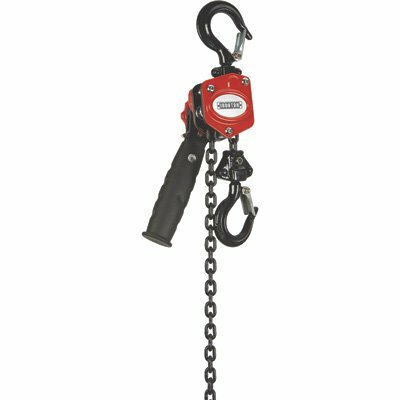 Chain Cable & Lever Hoist | Product categories | Waltco Tools & Equipment, Inc.
Hardened and galvanized heavy gauge steel. 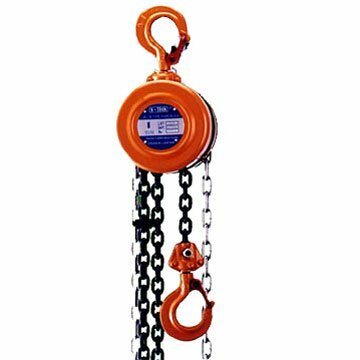 3 drop forged safety catch hooks for heavy loads. Trouble-free thumb control release for maximum safety. 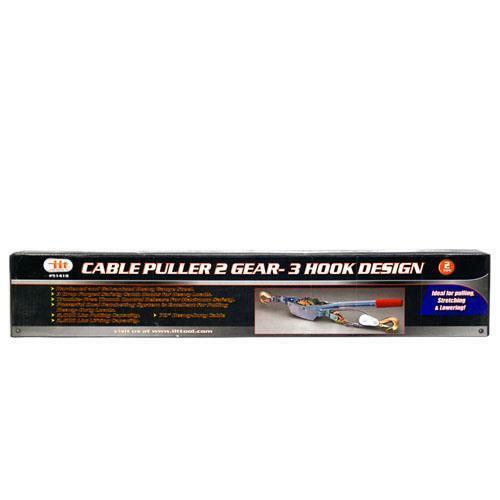 Powerful dual ratcheting system is excellent for pulling heavy-duty loads. Contains 5,000 Lbs pulling capacity and 2,500 Lbs lifting capacity. Nice quality for a cheap price. I have sold nearly 1000 of these in the last 25 years. 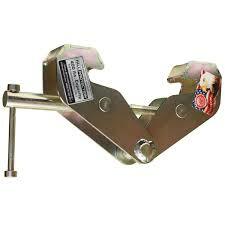 2 drop forged safety catch hooks for heavy loads. 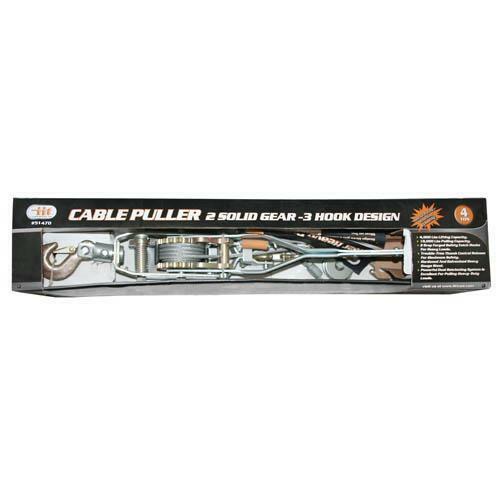 Powerful dual ratcheting system is excellent for pulling heavy duty loads. 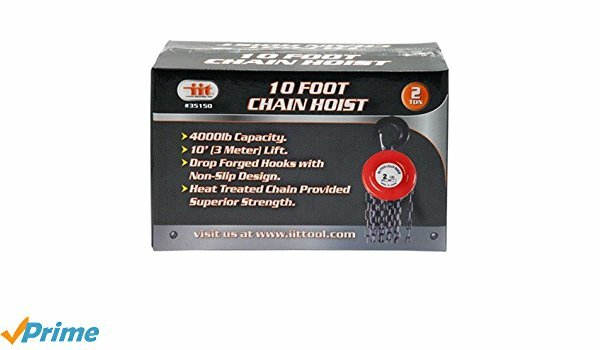 Very Nice quality chain hoist, with overload protection without the larger PRICE TAG. This OZ Lifting Products Beam Clamp is from raw steel to final packaging, 100% made in the USA. It features a fully welded box construction. Unlike our competitors, OZ Lifting Products uses no press fit pins in our beam clamps. We completely weld the support plates as well as the main load pin to the heavy duty side plates. This provides for exceptional rigidity and strength. Also, Oz Lifting Products uses a combination of industrial powder coating and zinc plating for increased durability. Standard lifts of 10 and 20 ft (All standard lifts in stock) We custom rig to meet your needs! Rigged In The U.S.A. Many features and benefits not found on standard hoists, make our products the safest on the market. Overload Protection – This is standard on all Premium hoists and is factory set. The overload is integral with the hoist and prevents the operator from overloading the hoist. When activated, the overload will not allow hoist operation. When the overload is activated, lower the load, if lifting, or release the load, if pulling. Then select a larger capacity hoist, or consult a lifting specialist for another means of operation. Unique Hand Wheel Design – This feature enables the hand chain to successfully feed directly into the wheel sprocket from many directions and angles. 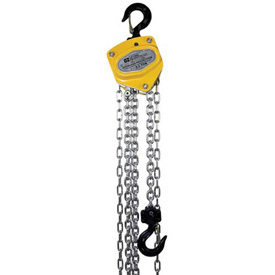 Thus, the operator can use the hoist while standing to the side of, or even above the load without fear of the hand chain jamming. Minimal Load Lifting Effort – These hoists require 20% – 35% less effort than the competition. Lift heavy loads with ease. 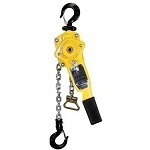 Ideal for frequent lifting/pulling applications. Fully Enclosed Gearing – This protects the gears from contamination and debris. All Steel Construction – These hoists are strong, durable and rugged, providing a long and dependable service life. Forged Alloy Steel Hooks Cast Steel Safety Latches – Each heavy duty cast steel safety latches has a bolt and lock nut connection rather than roller pins used by most competitors. This feature facilitates easy latch changing in the field. Thrust Bearing on Lower Hook – Allows easy rotation of load while suspended & prevents load chain twisting. 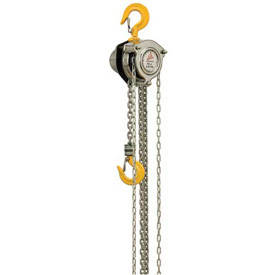 Electro Zinc Plated Hand & Load Chain – Provides a durable non oily finish. Fully Machined Lift Wheel – This feature perfectly accepts the chain allowing for a smooth long lasting operation. Totally Enclosed Gearing – This design protects gears from contamination and debris. Lifting or Pulling – This hand hoist can be used for lifting or pulling which makes for a more flexible and versatile tool. Low Headroom – Provides maximum lift by minimizing space taken up by the hoist, making it ideal in restricted space applications. Corrosion Protection – Hoist components are powder coated to prevent corrosion. Product I.D. labels are made from stainless steel. Weather Proof Load Holding Brake – Both lever and chain hoists have a protected Weston Brake which holds the load during the entire operation. The hoists are also equipped with a unique twin pawl design. All Gears and Shafts Run on Roller Bearings – This feature provides smooth controlled operation as well as maintenance free lubrication. Stainless Steel Riveted ID Tags – These tags will not rust and will maintain clear distinct information for easy identification. Safety Yellow Powder Coating – This process provides a long lasting finish in hostile environments. Maintenance – Hoists can be quickly disassembled for fast and easy maintenance. Certification – Each hoist is rigged and load tested here in the U.S. at OZ Lifting and comes with a serial number and test certificate dedicated to each hoist. Each hoist is double checked and signed providing traceability throughout the entire manufacturing process.